This game is a fun way to exercise your memory skills. You get a small set of objects to memorize. 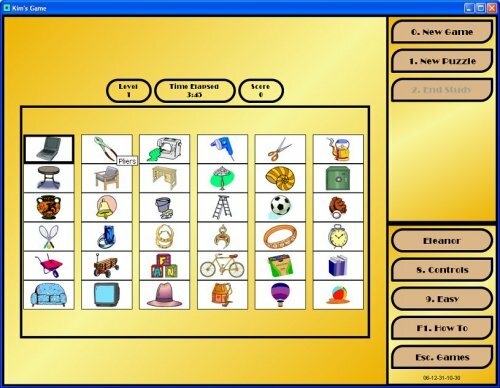 Then you get a larger collection, which includes those objects you memorized. Can you pick the ones which were in the original set? It's not as easy as you may think, especially against the clock, especially as the numbers of objects get larger.